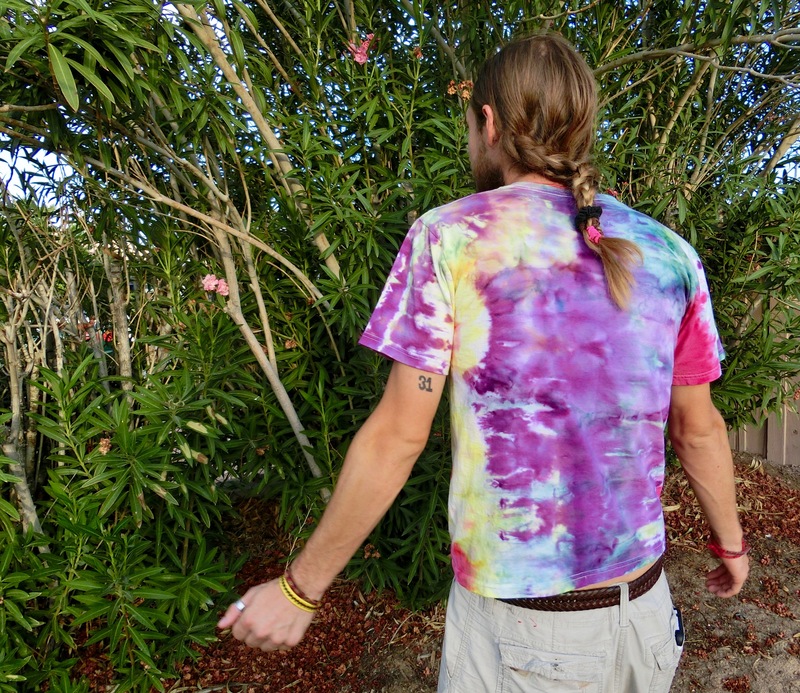 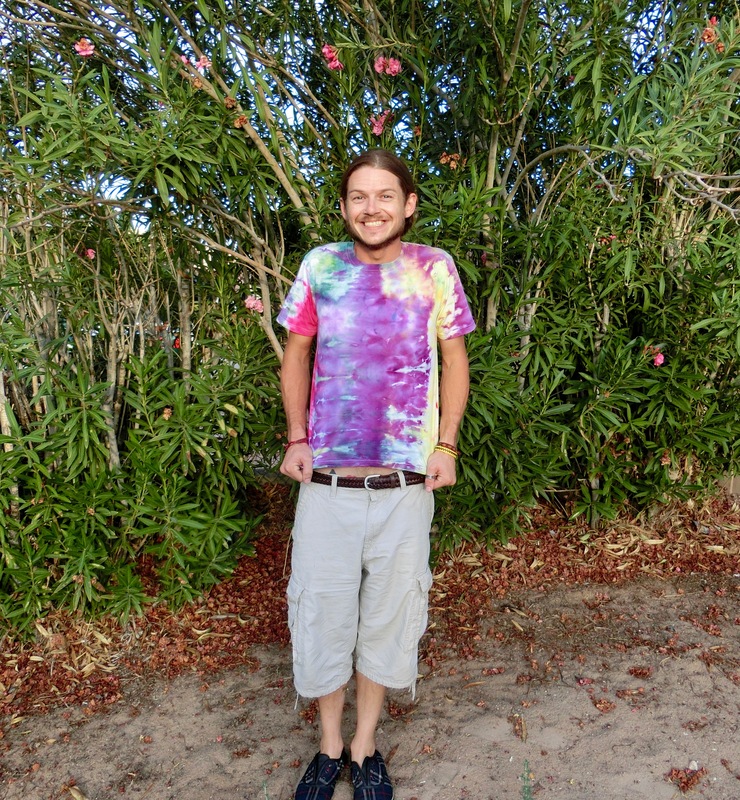 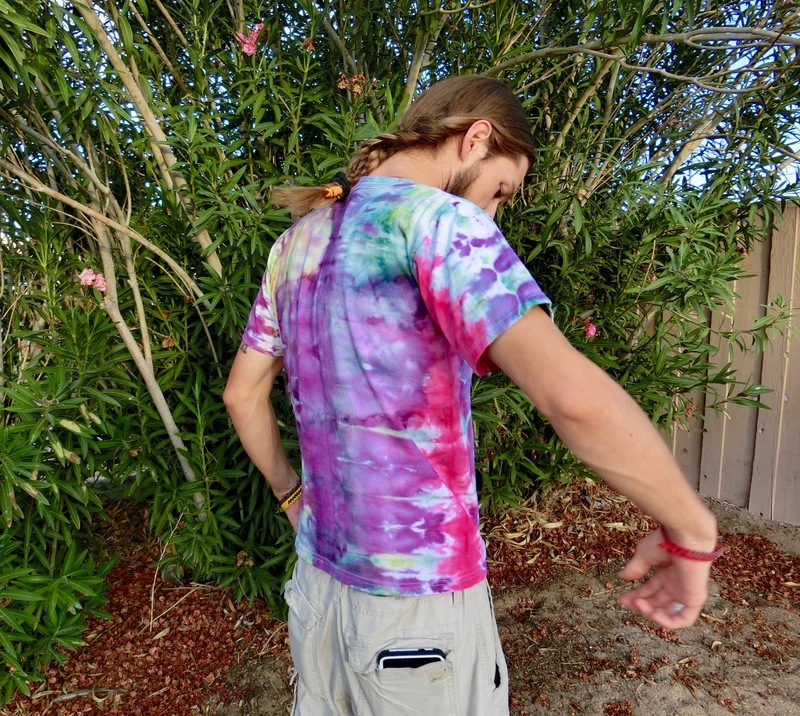 Youth Large tie-dye t-shirt with purple, yellow, blue and red tones. 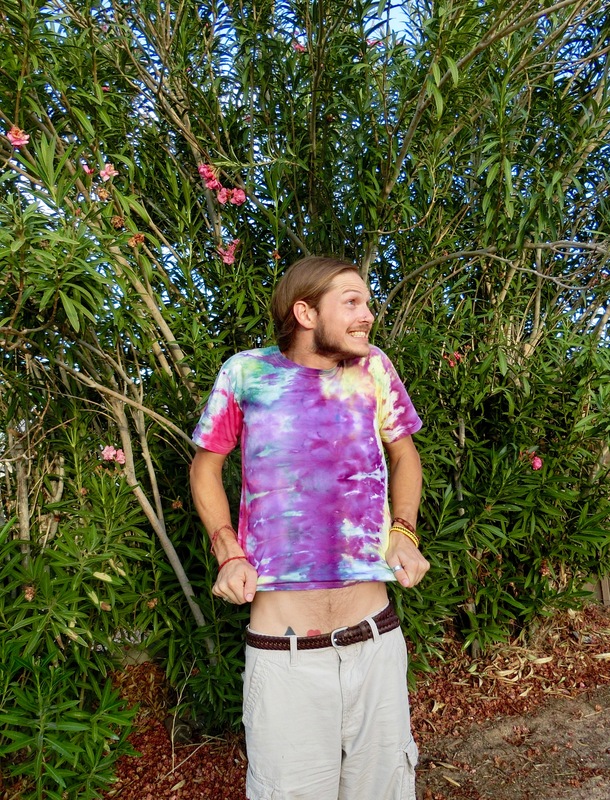 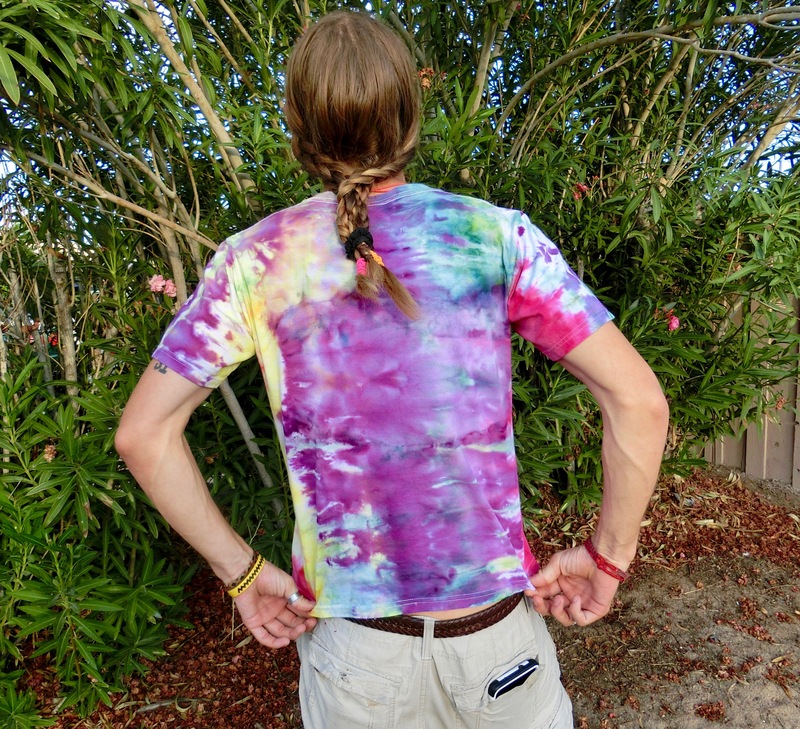 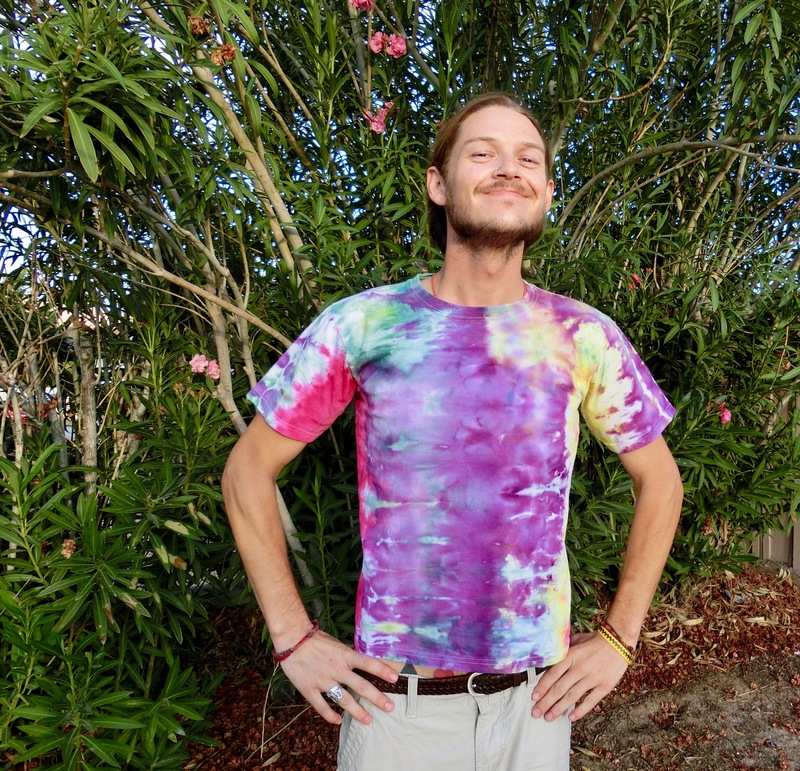 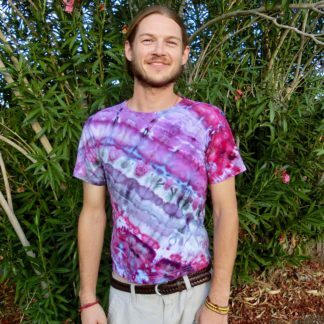 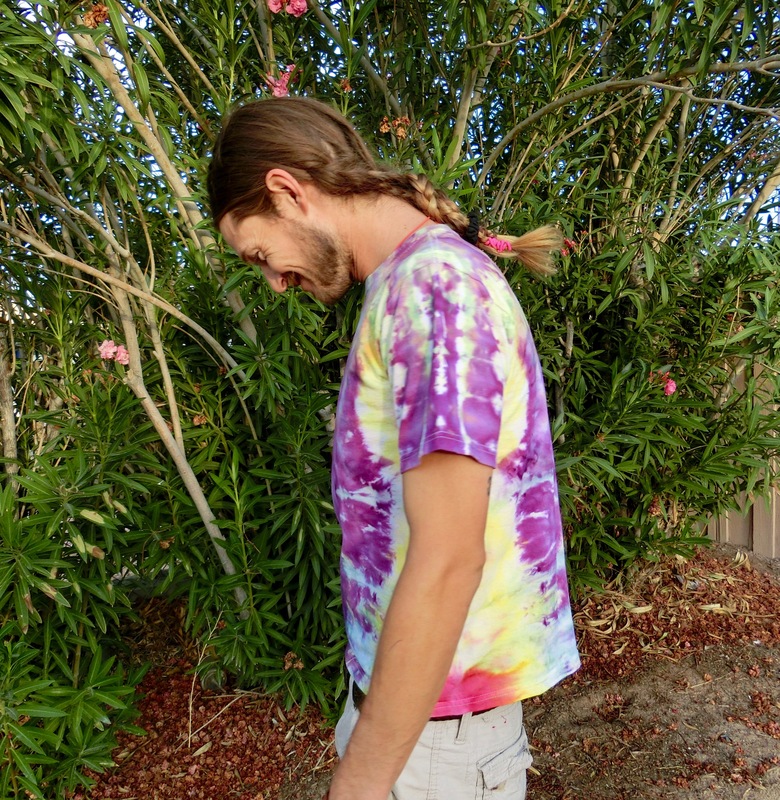 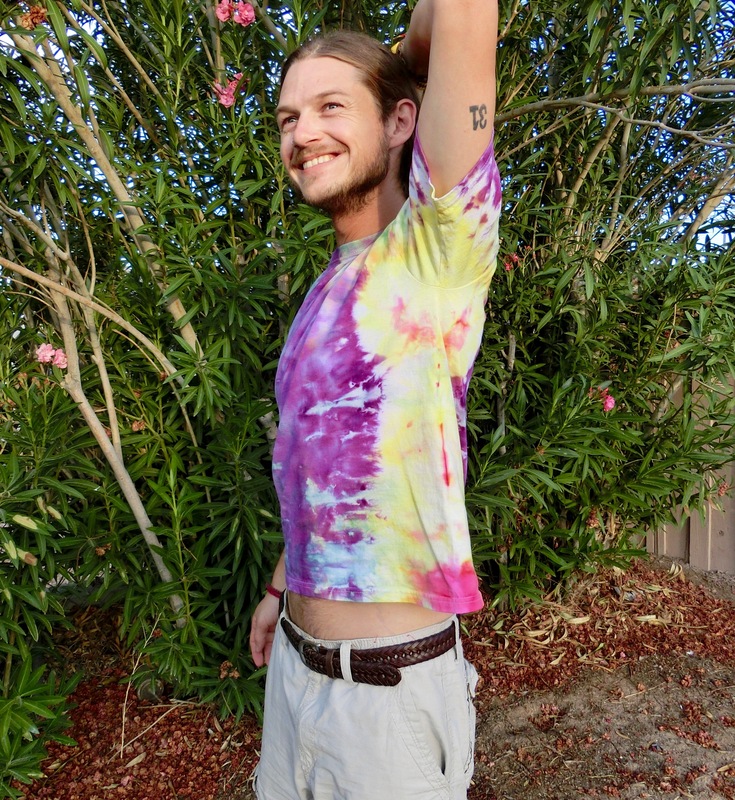 This groovy hand-dyed youth large tie-dye t-shirt is made of soft, pre-shrunk & pre-washed cotton and colors are guaranteed not to bleed! 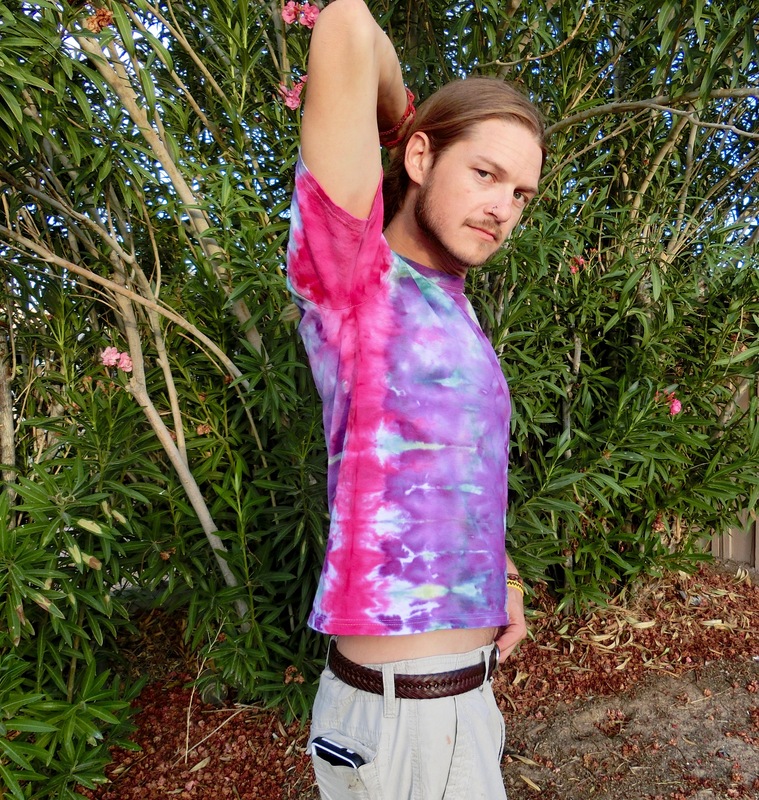 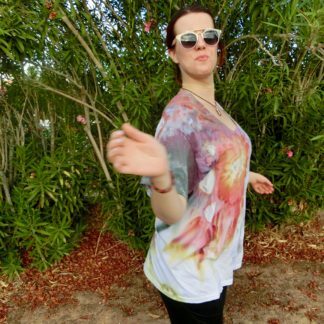 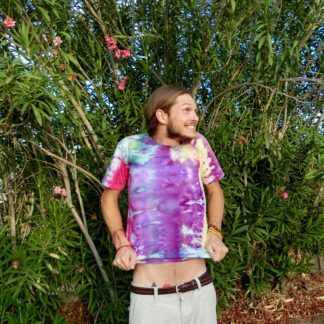 These shirts are super comfortable, perfect for lounging around the house in your jammies or adding a psychedelic flare to your next day at the park, while fighting ninjas, day care, birthday parties, or whatever floats your boat! 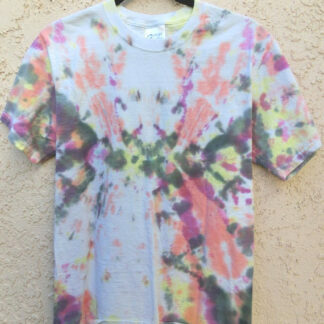 This shirt is READY TO SHIP! 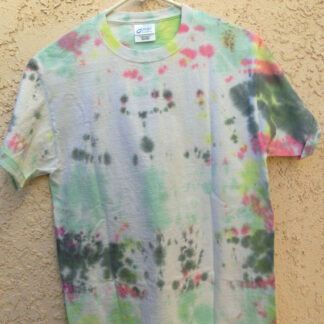 100% preshrunk Anvil brand cotton tee.